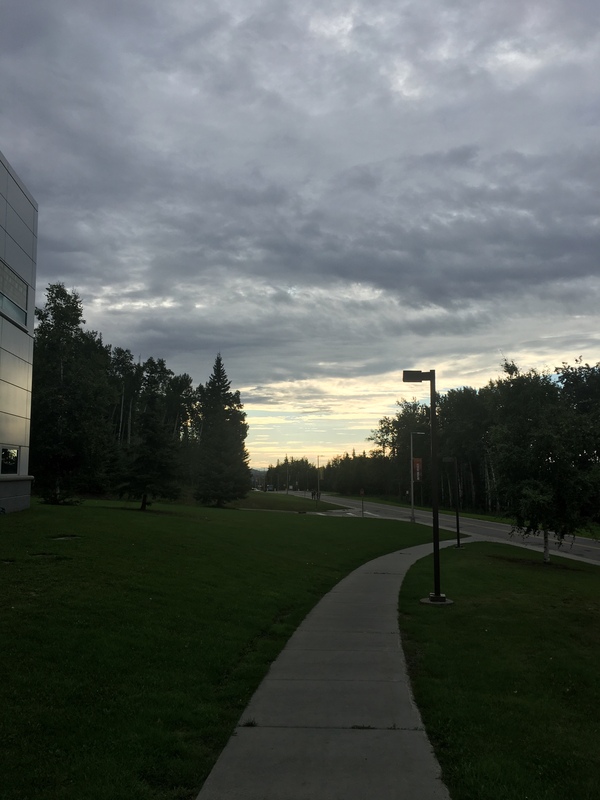 Fairbanks was far from optimal for viewing the eclipse. 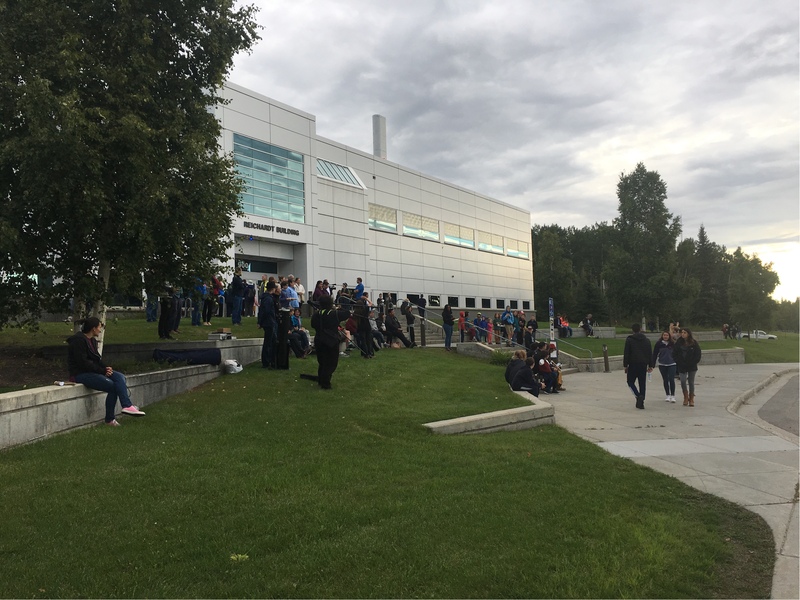 This morning, I went to the university as there was going to be an eclipse viewing event at the Reichardt Building, which is home to the natural sciences. 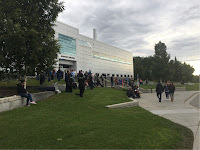 Right off the bat, you can see that the weather wasn't cooperating but there were a few hundred people hanging around with their free, cardboard viewing glasses. Most of the people were hanging around looking at the displays and telescopes that the various clubs had set up and the local TV station was interviewing random people collecting sound bites. The physics club was selling cookies and muffins (actually just asking for donations) and some departments had tables set up for kid to make some viewers. 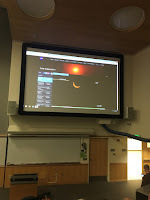 There were even some grad students doing presentations to the crowd explaining why eclipses happen. 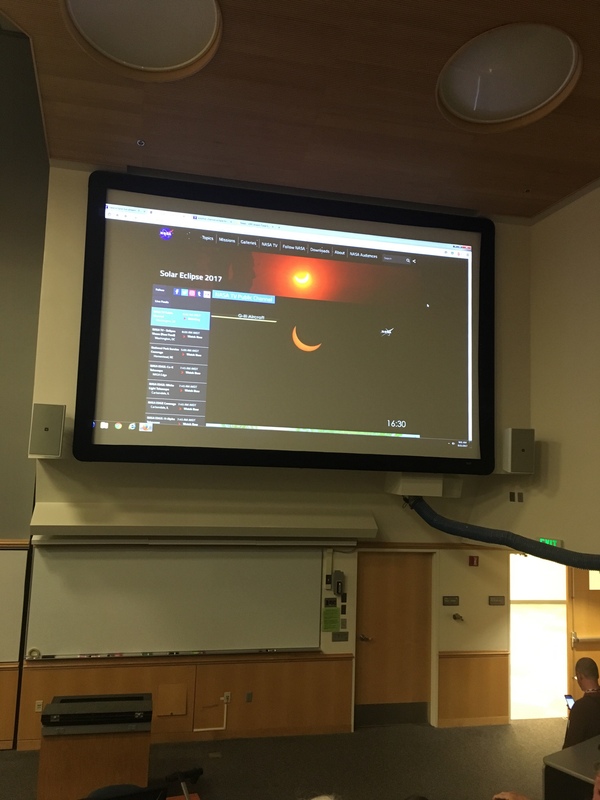 As the time approached, they mentioned that they had the NASA TV feed running in the large lecture hall. And if they really wanted to see the eclipse, then that was probably the "best" view. It was a good opportunity for the University to get some community involvement as many people rarely visit this university building. Lots of kids running around. Some people whining about not seeing anything. On the Ural front, I called Mickey from Urals of Alaska to order some transmission parts. I decided to get all of the 3rd gear pieces including the gear, the shift collar and the shift fork. The needle bearings appear to be in good shape and there was very little metal floating around in the transmission. More on that in the post scheduled for next Friday. I'm typing this while sitting in the airport waiting for my flight to Utqiaġvik, the village formerly known as Barrow, where I will be spending the week. I suspect that I will be posting more about that later in the week. I would think the NASA capture of the eclipse would have been quite nice...I'm waiting till I'm back on high speed internet and there's less demand on their servers to view it. The only problem with the NASA feed was that the servers were being hit hard so there was a fair amount of buffer delays. I also followed the news channels capture of the eclipse. Back in 1999 we had one over Germany. It was quite fascinating, and a bit intimidating with the temperature change and the silence of the birds.